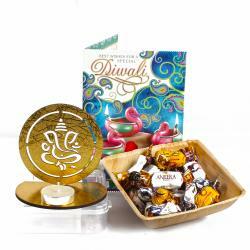 Product Consists : Imported Aslan Assorted Choco Nom Nom Chocolate (Weight : 200 gms) in Eva Bucket along with 2 Earthen Diya and Diwali Greeting Card. 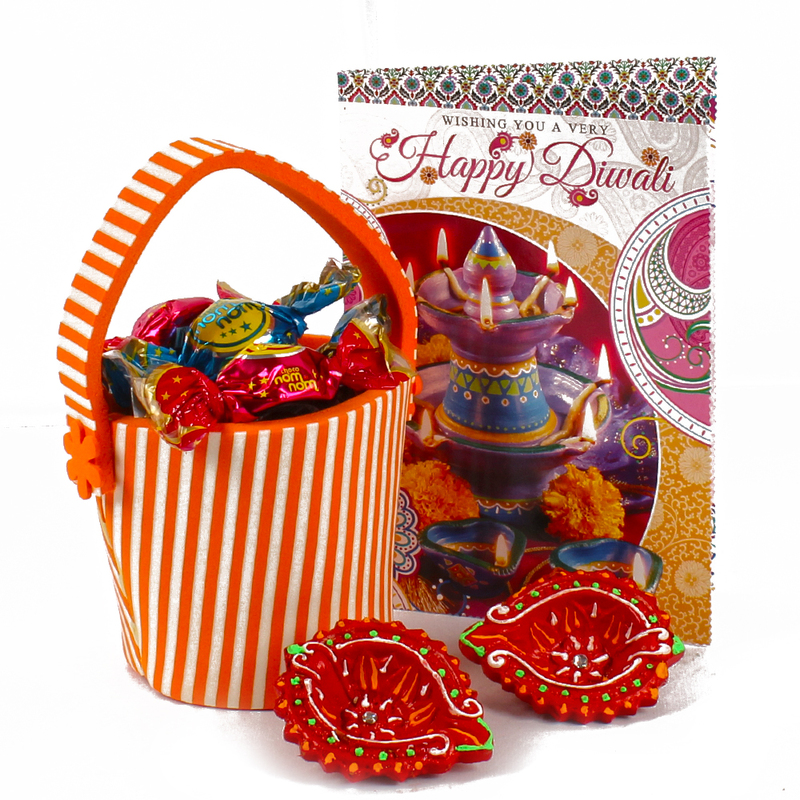 Take a look at this heartwarming hamper of goodies that is perfect to light up your loved ones with smiles on special diwali occasions. 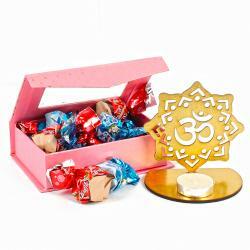 This hamper comprises of religious gifts like a Chocolate decorative in an Eva Bucket which complete this hamper a pack of Imported Aslan Assorted Choco Nom Nom is also teamed with the hamper. The Earthen diyas are glows on the Diwali Eve to treat your dear ones and to Express your heartfelt wishes for your loved one on the auspicious occasion of Diwali with this appealing greeting card. 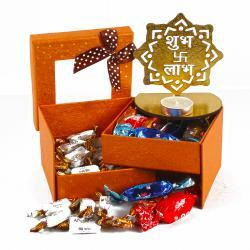 So go ahead and order this hamper on Diwali to make their celebration special. 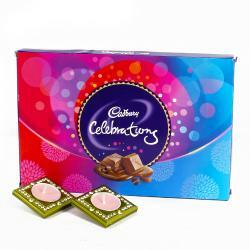 Product contains : Imported Aslan Assorted Choco Nom Nom Chocolate (Weight : 200 gms) in Eva Bucket along with 2 Earthen Diya and Diwali Greeting Card.